What makes the best party ever? For some people, it’s at the great outdoors where they get to enjoy the views of breathtaking natural sceneries and landscapes, take a breath of fresh air, or listen to the relaxing sound of rushing water or the chirping of the birds. And when the night falls, count the stars. Well, with glamping, that’s totally possible! Taking traditional camping into a whole new level, glamping makes enjoying the outdoors far more convenient. Yes, think about sleeping on a queen-sized bed, getting great food service, and some outstanding facilities. That’s camping done in 5-star hotel fashion! This makes glamping party totally fun and inspiring. If you’re thinking about having a glamping party with friends, here are some great ideas to explore. We’ve also included a checklist to make sure you don’t forget a thing! First thing’s first. If you’re after enjoying the great outdoors, you have to find the perfect location! You will never run out of great options for sure. Whether you are looking for a serene place with panoramic ocean views, a secret garden, or a campsite by the river – where you will put up your campsite is very important. Well, you can do it in your backyard too. Choose a corner of your yard with space for some really nice glamping. 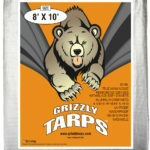 What’s camping without a tent and tarp? And what’s a glamping party without a really fancy tent? You want a stylish shelter for your party. You can rent one or build your own. It’s going to take time and effort but building a fancy tent can be fun and rewarding too. Check out these DIY glamping tents on Pinterest for a bunch of ideas. Once you’ve built the tent, work on making the interior really comfortable. You want a nice bed, light, music, and other luxuries you’d get from your own home or a hotel. Stack some good reads too. When setting up a glamping party, setting the tone right is everything. You want to create an atmosphere that is warm and inviting, and really cozy. Of course, you want to mimic a traditional campsite but in a much fancier way. So, feel free to add some really nice cushions, pretty bedding and pillows, paper lanterns or party lights, scented candles, flowers, ribbons, etc. Outside, go ahead and create a central fire pit, and set up folding tables for dining. Yep, you need a posh table and some really fabulous dinnerware. Glamping stands for ‘glamorous camping’. Thus, your campsite should be really gorgeous and all glammed up! Aside from the décor, you also want to focus on your tent-to-table menu – serving your guests with an elaborate meal is a must for a glamping party. Start with a beautifully designed menu. Skip the traditional hot dogs or burgers and opt for a fancier entrée like grilled salmon with green sauce, luscious mushroom soup, steak, and the like. Don’t forget your full bar setup. Your guests would appreciate some really good cocktails and refreshments. You’re not just glamping. You are partying! Make sure to set the mood right. You want it fun, exciting, upbeat, and really hyped up. And there are plenty of ways to achieve this. First, you can put up inflatable dancers. They make a perfect addition to outdoor parties and events. Just the sight of a brightly colored dancing tube man already gives the message straight – it’s going to be fun, fun, fun! Banners are a must-have too. They instantly add a decorative touch to your event and gives a warm and inviting feel to your guests. Don’t forget the campfire! Just because you already have a restaurant-style entrée doesn’t mean you should forget about a roaring fire with s’mores. Set up a separate table for the sweets. Put marshmallows, high-end chocolates and candies in pretty glass jars. Even adults would love them. No matter where your glamping party is taking place, having the right music is always a requirement. One of the most important parts of entertaining is choosing the right playlist. Basically, it has to go with your theme. Are you having a family gathering, a dance party, birthday celebration, or a reunion with friends? If it’s a low-key event, you want a quieter, subtler background music. If it’s an upbeat party, of course, you should choose a fast tempo, rhythmic tunes. Also, take note that the music is not just for you. It’s for everyone in your party. It can be a great idea to ask your friends or family what they like and incorporate their choice of music into your playlist. Location – where to camp. Glamping tent – some campsites offer glamping services which already include the tent and other amenities. If you wish to party at a secluded location, you have to set up your own tent. Tables and chairs – must-haves for any party. Hosting a glamping party is truly fun. The excitement is real, from the planning to the setting up of the tent, preparing the food, and of course – the partying! 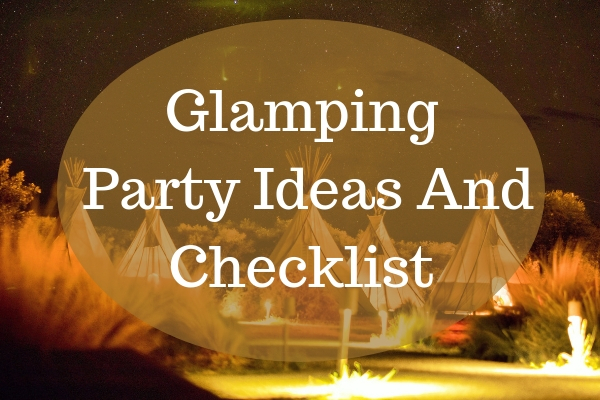 Hope these glamping party ideas have inspired you to create a fun and memorable occasion. Feel free to refer back to our checklist so you don’t forget a thing. Happy glamping!